I recently got the opportunity to go to Sevilla, Spain for a week, and one of my favorite parts was the amazing food! In Spain, a lot of the time you will share several plates of tapas and a bottle of wine with your table and then take your time enjoying the meal. One thing I noticed was a lot of the food was olive oil based, and relatively heavy; however, I did not see a single obese person. Although many of the people walked everywhere in the city, getting them decent exercise, it surprised me that they could eat “high fat” diets, drink wine with every meal, and be thin. Olive oil contains a high amount of monounsaturated fat, which is considered healthy fat because it helps clear cholesterol from your blood vessels and can help control blood sugar levels. The Mediterranean Diet consists of a lot of fruits, vegetables, seafood, whole grains, nuts, olive oil, and poultry (so the bulk of food is high in monounsaturated fats). The Mediterranean diet then limits red meat, sweets, and processed food. A study in Spain compared three diets in people at risk for cardiovascular disease: two Mediterranean diets, one with added mixed nuts, the other with added extra-virgin olive oil, and a low-fat controlled diet. 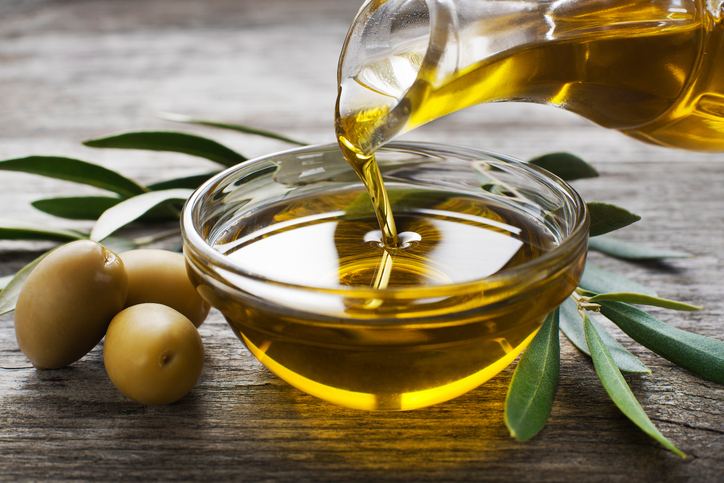 The results showed the Mediterranean diets that were higher in fat, slightly more in favor of olive oil, proved to be more beneficial at reducing cardiovascular events than the low-fat diet. Knowing this, too much fat is not a good thing either; the daily recommended intake is 20-35% of your calories from fat. Additionally, this type of eating is more accessible to Spaniards and other Mediterranean countries because they grow olive trees and are close to the ocean. While it may be a little more expensive to follow this diet, it could be beneficial to adopt more olive oil in replacement of butter and other saturated or trans. fats, as well as additional nuts, and seafood into your diet to help improve cardiovascular health.